Las Flores Beach Resort is located right on the beach in the heart of the golden zone. 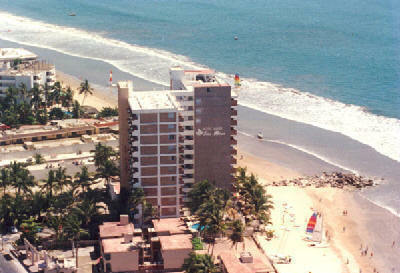 The hotel is shark protected by 3 radiant green islands, therefore it has the best beach in Mazatlan. The beach is beautiful and quiet. You can enjoy safe swimming or just enjoy laying in the sand as well as watching the magnificent sunset.